Sedans are passenger cars separated into three distinct sections - engine, passenger, and cargo. Most sedans have them in that order from front to back, but a few models switch the engine and cargo sections. Vehicles that lack engines, such as some modern electric vehicles, tend to have front and rear cargo sections instead. Sedans always seat at least four people, and more often five, between two rows of seats. Sedans also have at least 33 cubic feet of rear interior volume - any smaller and the vehicle is a coupe instead, regardless of configuration or seating. The earliest modern Sedan began production in 1899, though the name wouldn't come into common use until quite some time afterward. Since then, the basic format of the vehicle has remained the same, though it has split into two offshoots. The smaller version is the mid-size sedan, which usually has two single seats up front, a three-person bench in the rear, four doors, and a trunk for cargo. Full-size sedans are just like mid-size sedans, but generally larger all-around. Sport sedans are a variant model, offering more power and performance than standard models. Since their primary purpose is to get people from one place to another by way of paved roads, sedans are one of the most popular vehicles on the market and are usually bought by families that have minimal cargo-transportation needs. Sedans with plenty of cargo space are also popular as rental vehicles, and indeed, make up the majority of most rental fleets. Since they're not meant for rough off-road use, sedans tend to have a low wheelbase and center of gravity, and this typically serves them well. Two things tend to set sedans apart from each other. First are the exact dimensions of the vehicle, with consumers generally preferring sedans that have more leg, head, and cargo room. This is especially important for taller buyers since sedans don't always have enough clearance for them to sit in the vehicle comfortably. The second factor is the luxuries offered on each model. From modified blinkers to robust entertainment centers, sedans run the gamut between low-cost, no-frills transport and true luxury. In recent years, thanks to legislation and technological advancements, sedans have seen significant improvements in gas mileage and the types of engine offered, with hybrid and electric vehicles becoming an increasingly significant part of the market. With prices that are similarly diverse and plenty of used models on dealers' lots, sedans represent affordable transportation on just about any budget. Listed below are the sedans that received the 2019 J.D. Power award for highest quality, based on verified owner feedback detailing the number of problems they experienced with their new sedans during the first 90 days of ownership. Listed below are the sedans that received the 2019 J.D. 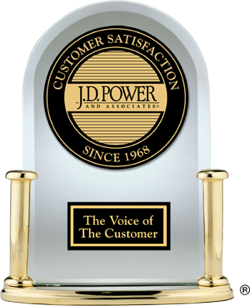 Power most dependable award based on verified owner feedback detailing the number of problems they experienced with their sedans throughout three years of ownership. The fewer the number of problems reported, the better. Listed below are the sedans that received the 2019 J.D. Power award for best performance based on verified owner feedback after 90 days of ownership. To experience the automaker's new light-electrified hybrid drivetrain, we headed to San Francisco to drive the twin-turbocharged 2019 Mercedes-AMG E 53 sedan. The newest iteration of Audi’s luxurious midsize sedan, the eighth-generation 2019 A6, features artful design inside and out, cutting-edge technology, and ear-to-ear grin-inducing dynamics.